While the new Return of the Jedi Movie Moment has surfaced in stores for a few weeks, the official glam shot was released today by Funko. The new Pop! 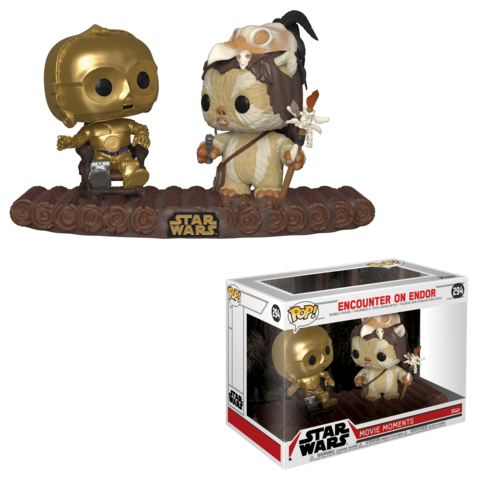 Vinyl set features C-3P0 as a mistaken golden deity and a feisty Ewok. Look for the new Pop in stores and online at EntertainmentEarth.com today.